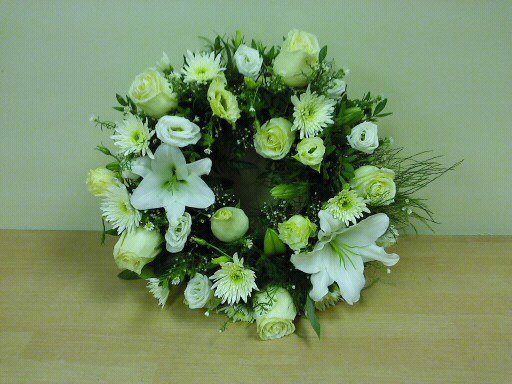 This is a traditional funeral tribute which can be made in different colours and sizes to suit your own requirements. Comes with a hand written card for a more personal touch. Can also have a personalised ribbon if required with a name or message. This traditional round wreath is the oldest and most common for a funeral.